The 2010 BP oil spill left an oily "bathtub ring" on the sea floor roughly the size of Rhode Island, according to a new study. 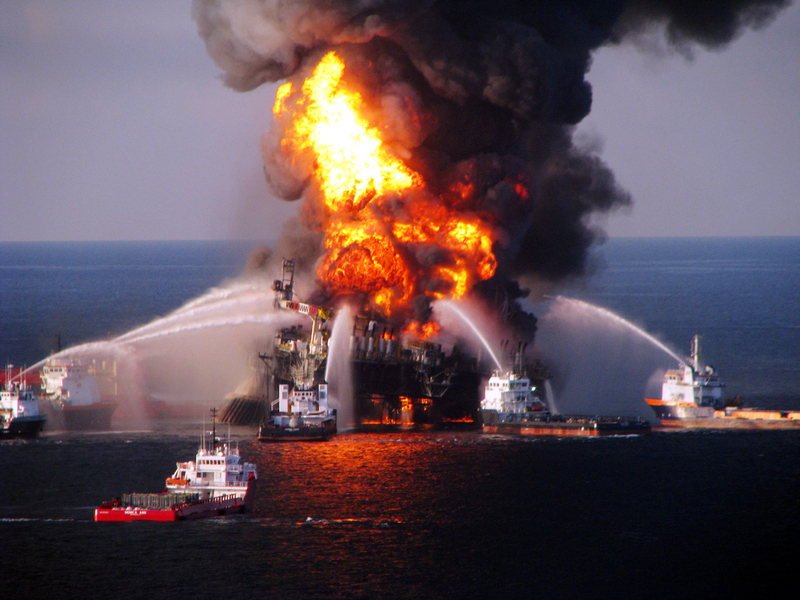 The rig blew on April 20, 2010, and spewed 172 million gallons of oil into the Gulf through the summer. Scientists are still trying to figure where all the oil went and what effects it's had. Study author David Valentine, a geochemistry professor at the University of California Santa Barbara, estimated that the spill from the Macondo well left about 2 million barrels (84 million gallons) of oil coagulated on the floor of the Gulf of Mexico around the damaged Deepwater Horizons oil rig. In the study, using data from the Natural Resource Damage Assessment process conducted by the National Oceanic and Atmospheric Administration, the scientists analyzed more than 3,000 samples collected at 534 locations, and identified a 1,250-square-mile patch of the deep sea floor where 2 to 16 percent of the discharged oil was deposited. "There's this sort of ring where you see around the Macondo well where the concentrations are elevated," Valentine told the Associated Press. The study was published Monday in the journal Proceedings of the National Academy of Sciences. "Based on the evidence, our findings suggest that these deposits come from Macondo oil that was first suspended in the deep ocean and then settled to the sea floor without ever reaching the ocean surface," Valentine said in a statement. "The pattern is like a shadow of the tiny oil droplets that were initially trapped at ocean depths around 3,500 feet and pushed around by the deep currents. Some combination of chemistry, biology and physics ultimately caused those droplets to rain down another 1,000 feet to rest on the sea floor." BP questions the conclusions of the study. In an email to the AP, spokesman Jason Ryan said, "the authors failed to identify the source of the oil, leading them to grossly overstate the amount of residual Macondo oil on the sea floor and the geographic area in which it is found." There were no chemical signature tests because over time the oil has degraded and it's impossible at this point to do such chemical analysis, but all other evidence, including the depth of the oil, the way it laid out, the distance from the well, directly point to the BP rig, said Valentine and study co-author Christopher Reddy, a marine chemist at Woods Hole Oceanographic Institute.